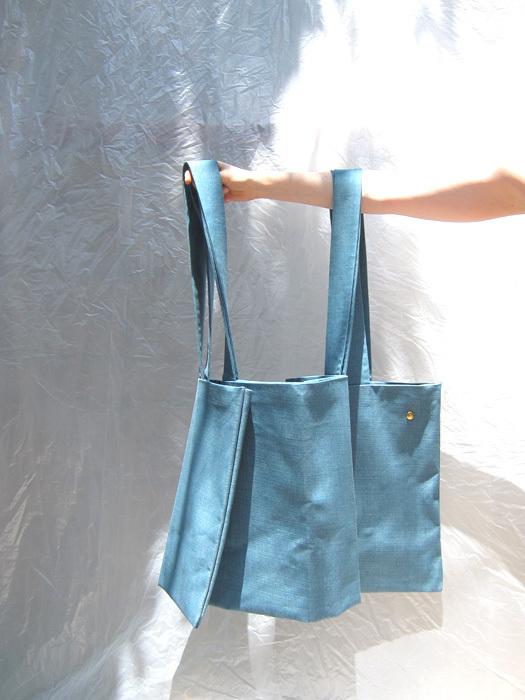 Like paper-folding come to bag-life in a Japanese indigo-dyed weft slub antique cotton denim. 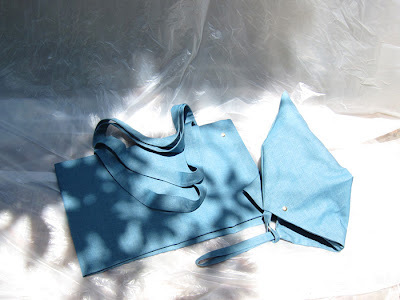 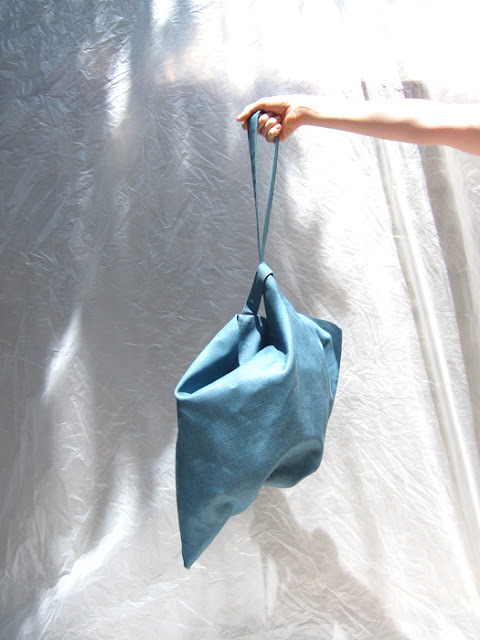 BAGBY carrier: a simple strap/handle passage and a triangle is transformed. Utilitarian and architectural.